Nourishing Beard Oil - As Low As $2.99! 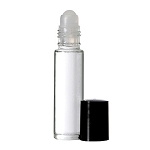 Comes in a 1.7oz Amber Glass Bottle with a tamper evident seal and an orifice reducer which can be removed. Great for Barbershops, Salons and More! Ingredients: Sunflower Oil, Rosehips Oil, Avocado Oil, Argan Oil, Jojoba Oil, Fragrance, Peppermint, Rosemary, Chamomile & Lavender Essential Oils. Order only 12 or more to receive the discounted price of $2.99 per bottle!